Flowering Date: Early to mid summer. Followed by a second smaller flush of blooms later on. 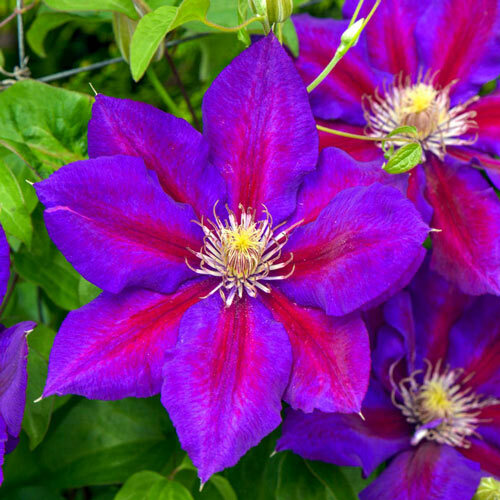 Julka Clematis is in the YELLOW pruning category. It blooms best on old wood, but it can also bloom on new wood. Use caution when pruning to retain healthy stems from last season for best flowering. See our Stoplight Pruning Guide for more information. Flowering DateEarly to mid summer. Followed by a second smaller flush of blooms later on. 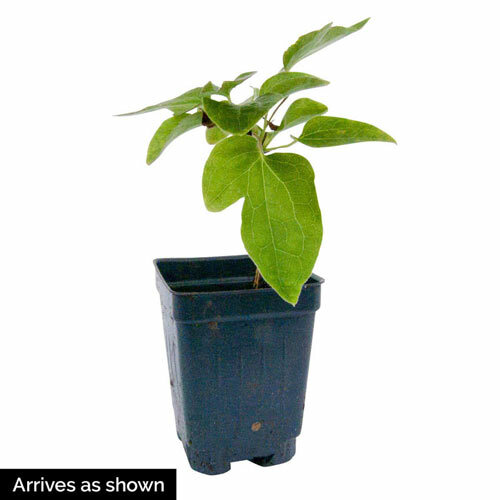 Planting InstructionsThis variety does not like hot, sunny locations, prefers semi-shaded areas. Roots need to be shaded from the sun by a deep mulch or large flat rock. Flower FormUpright, saucer shaped 3 - 6" across. Soil RequirementGood drainage is important. Fertile, moisture retentive soil. Additional InformationSuitable for growing over fences, arbors, trellises, garden supports or natural supports in your garden. 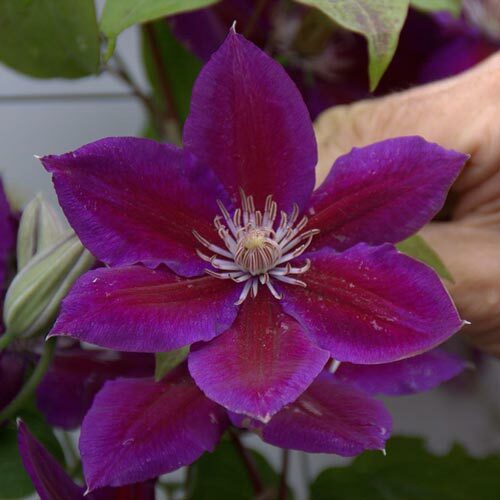 Unique CharactersticsEach bloom of rich violet with a purple-red bar down the center of each petal has the texture of velvet. 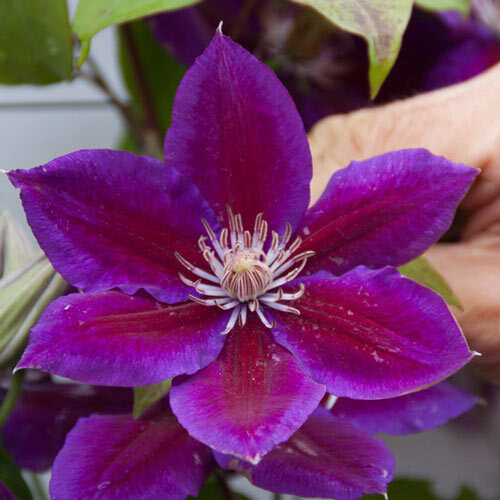 This polish variety has received the Silver Medal of Honor at the 2002 Plantarium Arboricultural Trade Fair. Growth RateSlow to establish, don't give up too early. Fast once established to location.